I was in the hospital, got some visitors with religious messages. One of them was a group of Theravadins, and a Tibetan nun. I settled with Theravada. I think if you'd like to form a dhammaduta group, please do not forget hospitals. Terasi wrote: I was in the hospital, got some visitors with religious messages. One of them was a group of Theravadins, and a Tibetan nun. I settled with Theravada. Interesting...Exactly what did they do when they visited you? Can't remember, probably chanting for me. That time I knew nothing about Buddhism, but I think they recited something in language that I didn't understand so it must be chanting. After recovered, I visited the Theravadin group and the Tibetan nun's monastery. Probably one more thing in propagation is not to try to explain too much about suffering and attachment to someone who knows zero, the Tibetan nun tried to explain those to me, I became confused and never visited again. Re: Dhamma propagation - most effective form? rowyourboat wrote: What's the most effective form of dhamma propagation, in your opinion? To really live it. Things come within. And to come one day to the point by one self, to support those who actually live in accordance to it. That's the circle that does not skew. practice the Dhamma oneself genuinely to the best of one's abilities, without trying to be an example for others. People naturally get inspired and they realize it is really possible to apply what's written in the scriptures, that it's not just beautiful literature or instructions everyone says "sadhu sadhu sadhu" to but no one follows. And so we still sit here. That might be the best thing to do in some cases. For example if you are surrounded only by people who are far from understanding the first bit of Dhamma and who might have a negative influence on you. It may help remaining focused while passing through "hostile" environments. Yes, very good choice but sometimes we overlook that the door is already unlocked or we even had never tried. So do not miss to propagate in its most efficient and beneficial way. What's wrong with such adverts as long as the intention is right? He thought he was being sarcastic but actually those are good suggestions which are already put into practice. In my country Buddhist organisations ofter take out newspaper ads to publicise talks and events. In Japan, the Bukkyo Dendo Kyokai places its compilation of Sutras in hotel rooms. Tzu Chi of Taiwan has its own TV station and many NGOs in Cambodia and Sri Lanka have radio stations. It takes quitea bit of financial and organisational resources to do all this . Thanks, pilgrim for this information. Yes, it takes a lot of financial resources. I was wondering if other religious groups (like Mormons/Christians) are being able to manage that in the US and also in the Eastern/South Asian countries why can't Buddhists do the same in the Western countries? When it comes to propagation of Buddhism there are two levels. The first is at a personal / individual level. The latter is at a more organizational level. I have outlines certain strategies. The first three points are at a personal level. I am sure the strategies which I have mentioned are being used by Buddhists up to various degrees however it is important for all of us to be aware of this and learn how to make use of them appropriately. 1. 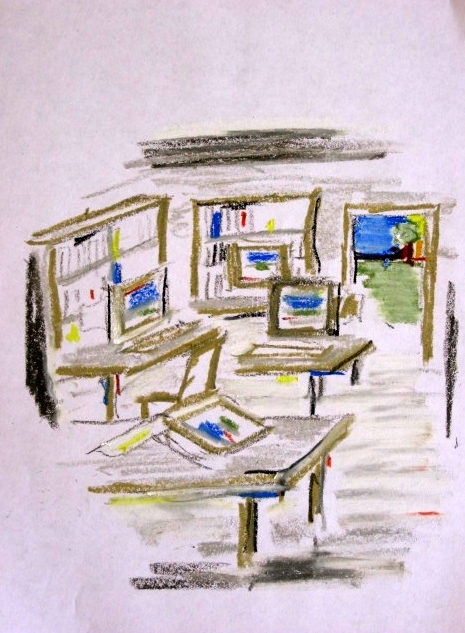 Practice – Only through practice we can demonstrate our Buddhist qualities. The teachings of Buddhism ‘manifest’ in everyday life through our practice. Our behavior should be in line and consistent with Buddhist principles. Meditation is essential – it was this activity that gave birth to Buddhism. Meditation and ethical conduct have to be maintained so that concentration and wisdom can develop. 3. Be cool – If you make it obvious that you re trying to convert people, it can easily put people off. If people don’t ask you about Buddhism, then it is best not to bring up the topic of Buddhism by yourself. In day-to-day conversation it is best that Buddhism is explained when other people ask about it. Don’t struggle, be cool. 4. Translation – There are lots of literature on Buddhism that were/are translated to English. However there are other languages of the Western world such as Spanish, Portuguese and Russian where Buddhist educational material is not available up to the same extent as in English. Translation of Buddhist texts to English has been of great benefit to those in English speaking countries. Now it is important to expand even further by initiating and funding the translation of those same texts, books, eBooks into other Western languages (Spanish, Portuguese and Russian). Apart from the Western world, we should not forget the Eastern world. Our Mahayana and Vajrayana friends would certainly benefit from incorporating some Theravada into their practice and one way to achieve this is by translation of Theravada texts, books and eBooks into Mandarin, Japanese, Korean, Mongolian, Tibetan, Vietnamese, Hindi etc. 5. Distribution of literature – in places where you are most likely to meet people who take part in Buddhist related activities (i.e meditation) it is good to have leaflets, pamphlets, booklets or books so that this can initiate people’s interest towards Buddhism. It is good to have web addresses of Buddhist websites so that people can obtain more information about Buddhism from the internet. I have distributed USB pendrives with information on Buddhism which I collected online from different websites over many years. This is because in this Buddhist centre there were people who were new to Buddhism or non-Buddhists who are interested in exploring Buddhism. 6. Mass media – the internet has been of great benefit to the ‘voice of Buddhism’ so that it can be ‘heard’ over many nations. It is important to help the maintenance of these Buddhist websites by contributing to them by being active members as well as by giving monetary contributions. There are lots of Theravada websites in English. It would be nice to see more and more Buddhist websites in Spanish, Portuguese and Russian. Buddhist television channels (e.g The Buddhist http://www.thebuddhist.tv/) and Buddhist radio networks also help Buddhism to be available to the masses. It is important to be active in social networking, video-sharing websites, blogs to help the message of Buddhism to be ‘heard’. Buddhism related groups and pages on facebook and other social networking sites, Buddhist related videos on YouTube and other video-sharing websites are all important. In comments sections under videos I used to check whether there are any questions asked by those who come across Buddhist videos and I answer them to the best of my knowledge. Advertising on newspapers of Buddhist meditation retreats, courses on Buddhist teaching, seminars can be advertised so it will increase the chances of more people coming. 7. Temples, Centres and Organisations – In western countries it is important to have priests who can preach in English and other Western languages. It would be ideal if Buddhist monks from Buddhist majority countries living in the west can give sermons equally well in English (or other Western language) as well as their native language. Population studies will help to decide which areas to build what kind of temples (for example if there is a significant minority of Thais living in a particular area, then a Buddhist temple with Thai monks). In this example which I have given, the Thais can visit and make contributions to the temple to make sure the temple ‘runs smoothly’ whiles the monk being able to give sermons in English will attract English people to learn more about Buddhism. Because of this it is important to teach monks in Buddhist majority countries a foreign language of a country where they will be sent to propagate Buddhism (eg. Teaching Spanish as a part of a training programme to monks/priests who will be sent to Spain or Latin American countries to propagate Buddhism). In Buddhist monasticism the two components are the cenobitic and eremitic traditions. Both are essential for the development of the monastic order of Buddhism. In Western countries at present, it is the cenobitic monasticism (monks living in temples) which is far more popular. The eremitic tradition is almost non-existent in the west due to certain reasons. Firstly it is because of the changing seasons. Second is that there is not a significant Buddhist population in the Western world to support the eremitic tradition. Most people in the West are not accustomed to see hermit monks going from one door to another with an alms bowl. 8. Funding - the wheel of Dhamma is turning and we have to make our own effort and contribution to keep it turning. There are many different ingredients which help it to keep in motion and one of them is funding. There are lots of Buddhist related activities, websites that need running, Buddhist publishing groups etc and all of this can’t be done/maintained empty handed. Therefore it is essential to give donations to Buddhist organisations, websites, temples to make sure they run smoothly. 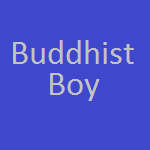 'Buddhistboy' is my username, even though I want to make it perfectly clear that I am not a boy. I am an adult. ...arriving on bicycles, and wearing white shirts and ties. I have questions about the methods of the groups that are engaged with the local communities and those that are working with the goverment.